Each Print is signet and numbered by renowned Photographer Anton Burghardt. Available please fax or Email to addresses provided. 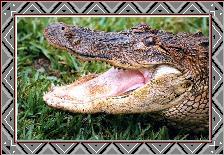 Whether your looking for a scenic Shot or the Alligator rooming the Everglades, the prints and framing are suit to all your special needs. Florida residence please add 6% sales taxes.